Of all the different experimental approaches and pharmacological methods tested so far for male contraception, hormonal methods come closest to fulfilling the criteria set out above (see Chap. 27). 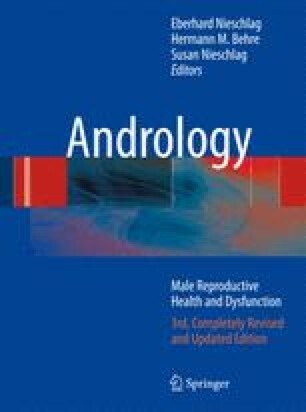 The endocrine feedback mechanism operating between hypothalamus, pituitary and testes is the basis on which hormonal approaches to male contraception rest. Its goal is to suppress spermatogenesis and to reduce sperm concentration, if possible to azoospermia or at least to a sperm concentration low enough to provide contraceptive protection (<1 million sperm per ml ejaculate).